Our Winter 2017 newsletter is out! Click Here to view. 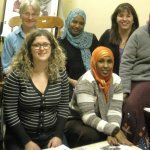 In this issue: The Kairos Blanket Exercise Immigration & Refugee Health Presentation HIPPY Program Mosaic Settlement Work Family Room Ice Skating 2017 Activities to learn English The grand opening of our 19th ESL class! Introducing New Staff ….and much more! Our Fall 2016 newsletter is out! Click Here to view. In this issue: HIPPY program Syrian refugee resettlement programs Mosaic at “Welcome to Winnipeg” Skating Program Positive Discipline in Tagalog ….and much more! Our Summer 2016 newsletter is out! Click Here to view. In this issue: Family Drop-in Program Mosaic Settlement Work Introducing New Staff Fall Photo Highlights ….and more! Our Summer 2016 newsletter is out! Click Here to view. In this issue: LINC Summer Program Mosaic AGM Wiggle, Giggle & Munch/ Hippy Photos from Summer 2016 ….and much more! Our Winter 2016 newsletter is out! Click Here to view. In this issue: HIPPY program Syrian refugee resettlement programs Mosaic at “Welcome to Winnipeg” Skating Program Positive Discipline in Tagalog ….and much more! Our Fall 2015 newsletter is out! Click Here to view. In this issue: Fall Mingle 2015 Boulevard Reconstruction PDEP Facilitator Training in Newfoundland and Labrador Photos from Fall ….and much more! Mosaic is proud of our enthusiastic and caring facilitators! Please watch this video to see Mosaic facilitators. Positive Discipline in Everyday Parenting – Facilitators from Mosaic. Our Summer 2015 newsletter is out! Click Here to view. In this issue: Family Literacy Day in a Box Mosaic AGM and New Board of Directors Volunteer Profile: Mercedita Photos from Summer ….and much more! Our Spring 2015 newsletter is out! Click Here to view. In this issue: Mosaic’s New Partnership Mosaic Classroom, Family Programs, and Childcare Volunteers Volunteers’ Appreciation Messages Family Programs Schedule Photos from Winter and Spring ….and much more! Our Fall 2014 newsletter is out! Click Here to view. In this issue: My Short and Beautiful Time at Mosaic Mosaic to Double (Almost) in Size! Volunteer Profile Positive Discipline Training in Dadaab Refugee Camp, Kenya Fall Mingle ‘14 ….and many more!